This is the final cross-post, in a series of 3, about jazz greats viewed from a food prospective. 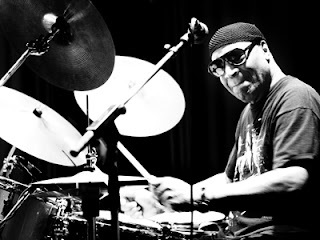 Rashied Ali (1935-2009) was a well-known Avant-garde jazz drummer in his own right, but best known for his work alongside John Coltrane. Check out more info about Mr. Ali at Music and More. In 1974 Mr. Ali opened Ali's Alley, a jazz club in Soho. But being known more for his drum skills rather than his culinary skills, his business partner took charge of cooking at the club. So the recipe for Chicken Anise was provided to Jazz Cooks by Mr. Ali's wife Patricia. This is another one of those recipes that seem ho-hum, nothing special ... until you try a forkful. That little spoonful of five-spice powder jazzes up (no pun intended) the taste big time ... and I don't even like anise much! We continue today with another recipe from a great Jazz musician. 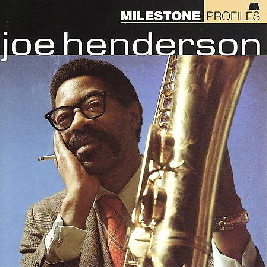 Joe Henderson (1937-2001) was a tenor-saxophonist as was Stanley Turrentine. But unlike Mr. Turrentine, Mr. Henderson had the luxury of sampling foods all over the world during his tours. He believed he could have been a great chef due to that experience, plus having lived in San Fransisco for over 20 years. Since he wasn't a great chef, just a great artist, read more about him at Music and More. Because of his love of seafood he created, among other dishes, the one below he dubbed Joe Fu Yung. I hesitate to criticize Mr. Henderson's recipe selection for the book Jazz Cooks, but given his self-proclaimed culinary expertise, couldn't he have picked something better to show off his expertise than an American Chinese dish? One of my Dear Readers writes an excellent music blog, mostly about jazz and blues. We thought it would be to our mutual benefit (and by "mutual" I mean "my own") to do a cross-post, similar to the ones I did about Claude Monet and Georgia O'Keeffe. This series will be about famous jazz artists. 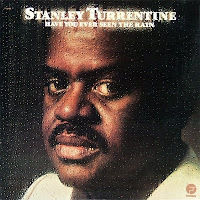 Today's post is about the great tenor-saxophonist Stanley Turrentine (1934–2000) from a food perspective. Visit Music and More to read about the music he is famous for, including links to some of his great work.